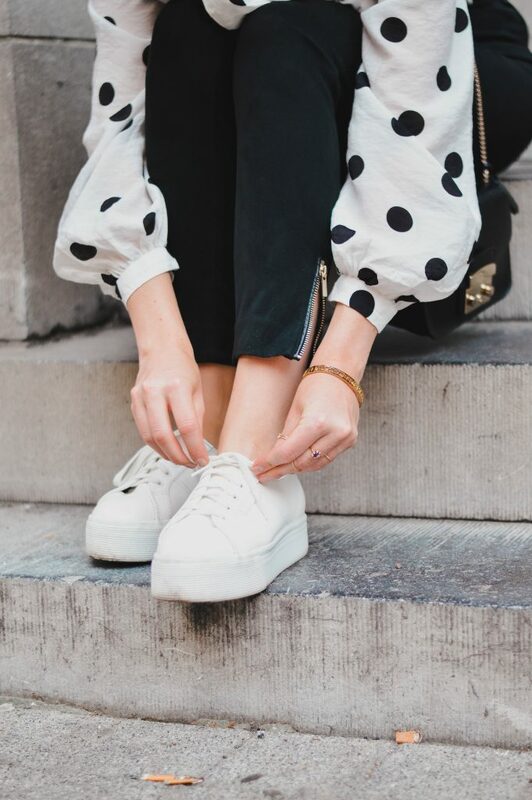 Although there are a lot of pros and cons when it comes to polka dots, I’m a fan. 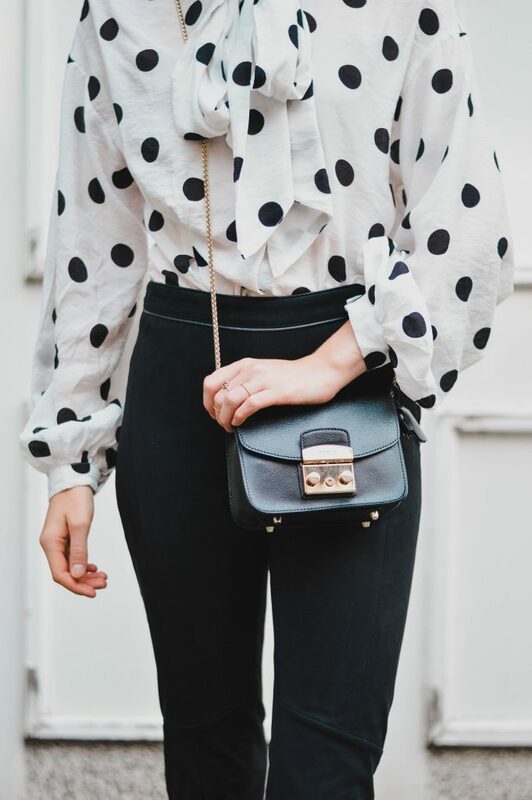 That’s why I styled this cute little polka dot blouse for this blog post. 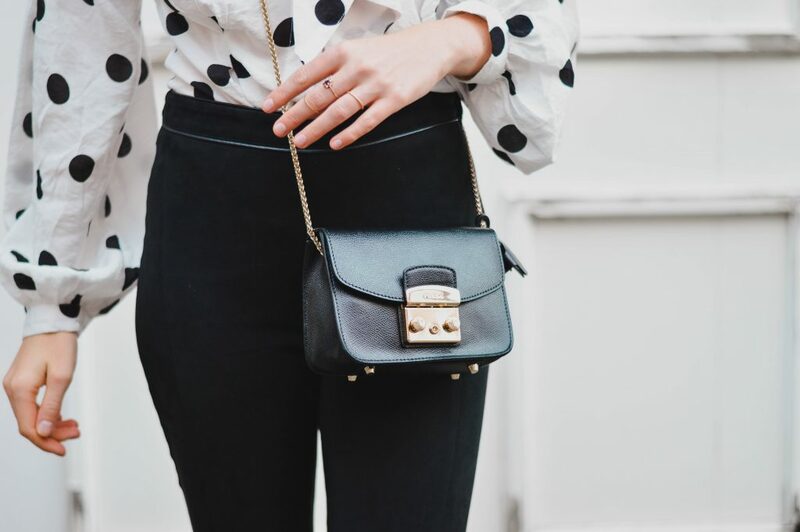 It’s a chic yet casual every day look, perfect for fall! Polka dots are back and boy am I happy! It’s such a fun print that gives me instant happiness. 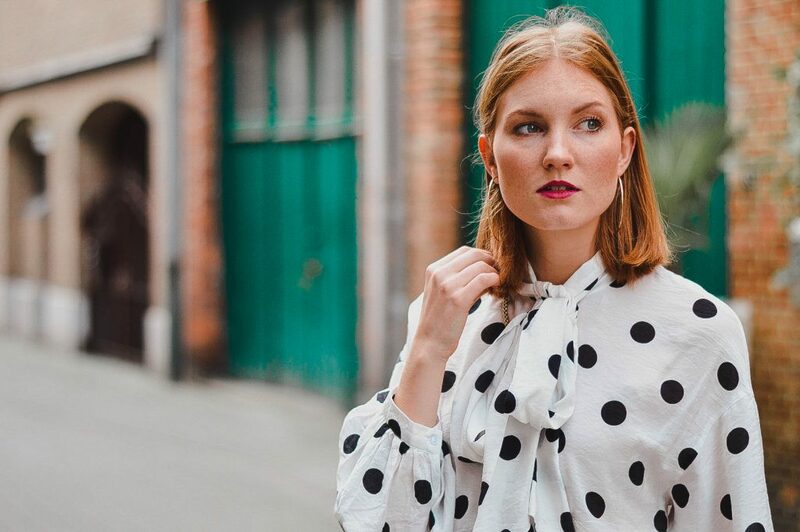 You can go seriously wrong with polka dots if wrongly combined but style it with basic pieces and you’ve got yourself a winner! 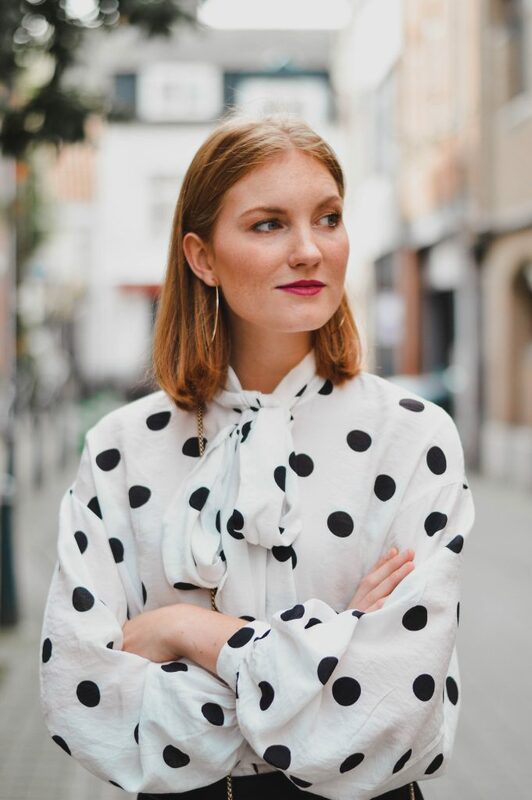 I got this blouse from H&M for €14,99 (!!!). I was obsessed with it from the first time that I spotted it on the H&M app. One week later: I was shooting this look in the streets of Hasselt. Its definitely one of the musthaves for this fall. 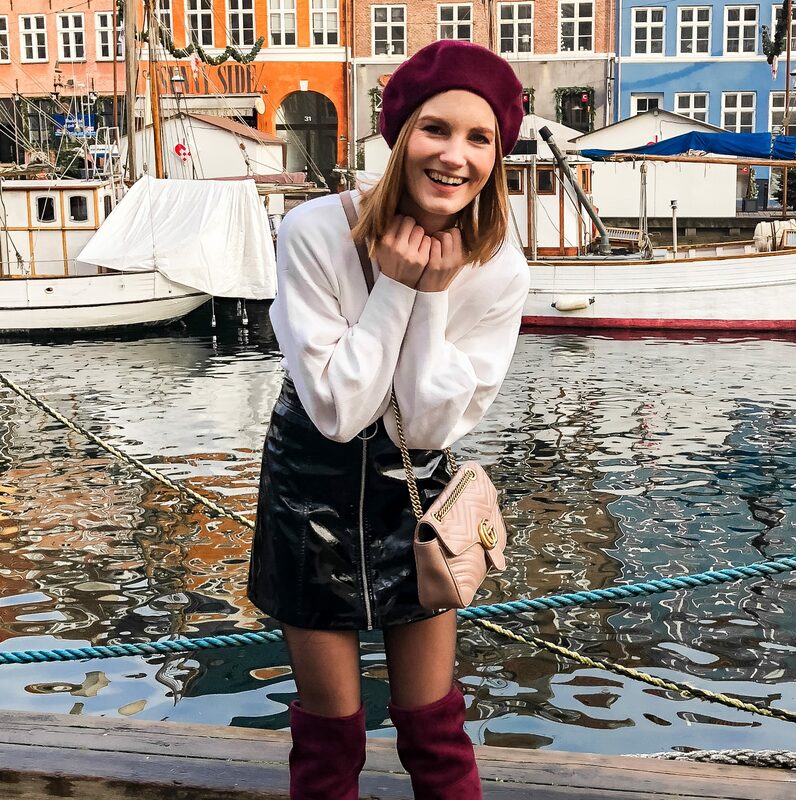 I styled the blouse with my velvet trousers but you can wear your mom jeans, boyfriend jeans or whatever to get an even more casual look. Just finish off with some sneakers and your set. Combining with a vinyl skirt and some pumps or sock boots makes the look more chic and effortless. Like I said, I wore this blouse with my velvet black trousers which are also from H&M. I bought those last season but I’m sure you can find them everywhere right now. I just love these trousers The fit is perfect & sits amazing. To keep this look classy I finished the look with my all white Superga sneakers & black faux leather H&M jacket. Next Post ALL I NEED BY TIFFANY & CO.